Fine Art Photography Prints by Ian Bramham: Michael Kenna - brilliant, but is it art? If you are interested in b&w fine art photography I'm sure that you will have heard of Michael Kenna. He is one of my favourite photographers and his b&w landscape photos are a continual source of inspiration. "I would be grateful if one of you could explain what I am missing in Kenna. I can see the technical accomplishment, but beyond that I don't see that it is anything but picturesque." On the surface I would imagine that the attraction for many people in Michael Kenna's photos is their wonderful composition and the simple but eloquent way in which they express a certain kind of beauty and visual drama. This is of course just the surface attraction of his photos. Like all great art the fundamental attraction of Kenna's photos is in the emotional response that they engender. If you don't get an instant and deep emotional connection to his work them I can completely understand why you only see them as picturesque. Emotion - we all have different triggers for the things that touch our emotions which is why art has such incredible variety and what makes art so interesting. For me, the best of Michael Kenna's work touches me to the core in a fundamental way with a strength that reminds me of how I felt during some of the key moments in my life - falling in love, finally qualifying as an architect after 10 years of study, watching my children being born and seeing them grow up. In short, what it is to experience life as a human being. Those same feelings are also part of the reason why I love being a photographer myself. When I'm out with a camera in a beautiful landscape with dramatic light it's the essence of living in the moment and I get a very strong emotional response but one that makes me feel very calm yet at the same time very happy and at peace with the world. As mentioned above, I'd be really interested in your thoughts on what photography means to you and on what kinds of photography and which photographers resonate with you. me, so by the dictionary definition of art it is certainly art for me. Your story about the visits to Japan sound amazing. Japanese art has of course influenced many famous artists and I know that Michael Kenna is among them. At a recent talk by Mr Kenna that I attended at the Brindley in Runcorn he specifically mentioned that his visits to Japan had led him to develop a simpler approach to composition. I know very little about Tao or Zen other than what I've read in books - a few years ago I bought a copy of a book titled "The Tao of Photography: Seeing Beyond Seeing" by Philippe Gross and S. I. Shapiro which I would highly recommend to anyone reading this who would like to explore the subject further: Amazon link to book. Hope you are ok. 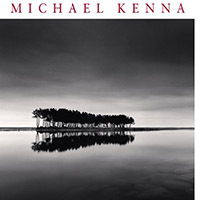 I just read your blog piece on Michael Kenna (I also read the thread on the Nikon DSLR Forum). The only thing I could say on it, the key word you mentioned....and I guess the hardest element to define, and really (to me) the key to what makes a powerful photograph.....emotion. hope you like it, it's a bit moody in and around Ribblehead as you can see!!. You asked what photography means to everyone, the image attached sums it all up for me anyway, it's quite a journey to get there, but a really rewarding one, it's a bit like learning to see again, but through the viewfinder of a camera, the journey and process is a big learning curve, but a very rewarding one for sure. It sounds like we are in complete agreement that Michael Kenna's photos are great art and that the key is in the emotional response that his photos evoke in us- at least for you, me and Hans (see above). To be honest I was surprised by the original question that I was posed but the whole issue of what is and what isn't art is a huge one with a vast range of opinions. Like you, I went to the Runcorn exhibition which was excellent. It was the second time that I've been to one of his exhibitions. I read in one of his published interviews that he prints his square format prints at a size of 71/2 inches which I feel is just a little bit too small for me. I understand completely that the reason Michael Kenna prints them deliberately small like that so that you view them in a more intimate way in the public setting of a gallery however I believe that the same effect can still be achieved with slightly larger prints that are easier to view. I printed 40 of my own square format photos for an exhibition recently and chose a size of just under 11 inches for that reason. The landscape at Ribblehead is amazing and I loved all your photos from the area although my favourites were the ones that brought out the shape of the viaduct with the rhythm of the light and dark of the light shining through the arches.